SINCE being shuttled over to Australia in 2010 to cover mares, three time Group 1 winner Medaglia d’Oro has been a huge success – and the breeding cross with mares deriving from the sire line of Danehill has taken centre stage with Spectroscope becoming an incredible sixth Stakes winner to be bred on this cross since August 2014 when winning the Group 3 Doncaster Prelude in stylish fashion. Godolphin-owned Spectroscope has followed in the footsteps of electric Group 1 Golden Slipper winner Vancouver, and Group 1 Golden Rose winner Astern in striking at Stakes level having also been bred on the Medaglia d’Oro / Danehill cross and, in a stellar season for the American stallion, he was also represented in this year’s Golden Slipper through Veranillo. The cross has the chance to add two further Group 1 victories this coming weekend as Spectroscope will bid to follow up his recent success with victory in the $3,000,000 Doncaster Mile, while Astern returns to action as he looks set to contest the $2,500,000 TJ Smith Stakes over 1200m at Royal Randwick. In Astern and Vancouver the cross has produced two exceptional racehorses to grace Australian turf in recent years, and with the spectacular international family of our Medaglia d’Oro filly, she could be the ideal candidate to add this highly successful cross’s list of Stakes winners. The family has produced six Group 1 winners and four Royal Ascot winners in recent years, including Melbourne Cup third placer finisher Mahler, who is out of a half-sister to our filly’s dam. Further Group-race winners include future stallions Footstepsinthesand, Pedro The Great and Power, and exceptional fillies Superstar Leo, Glatisant, Dancing Rocks and Thakafaat. Our filly has progressed through breaking-in with flying colours and her trainer Bjorn Baker has been highly impressed with her during a recent educational preparation at his Warwick Farm stables. 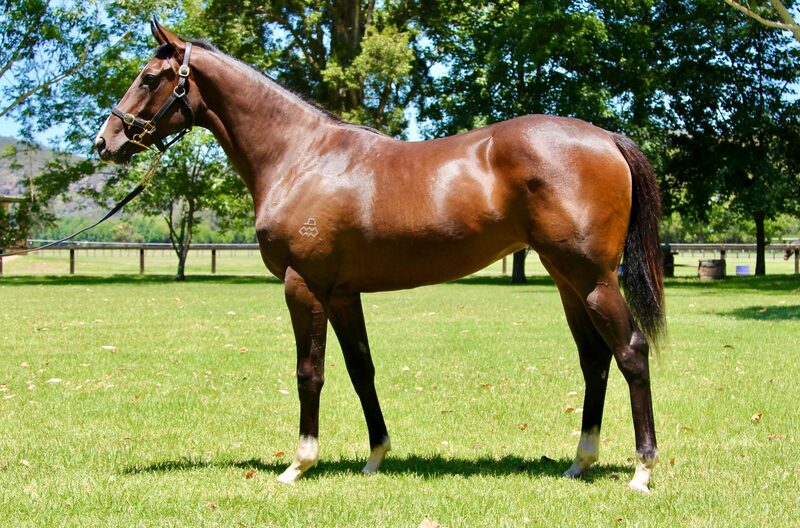 Limited shares are still available in our Medaglia d’Oro ex Compton Rainbow filly and start at $8,495 per 5% shareholding. Get yours now to avoid missing out!